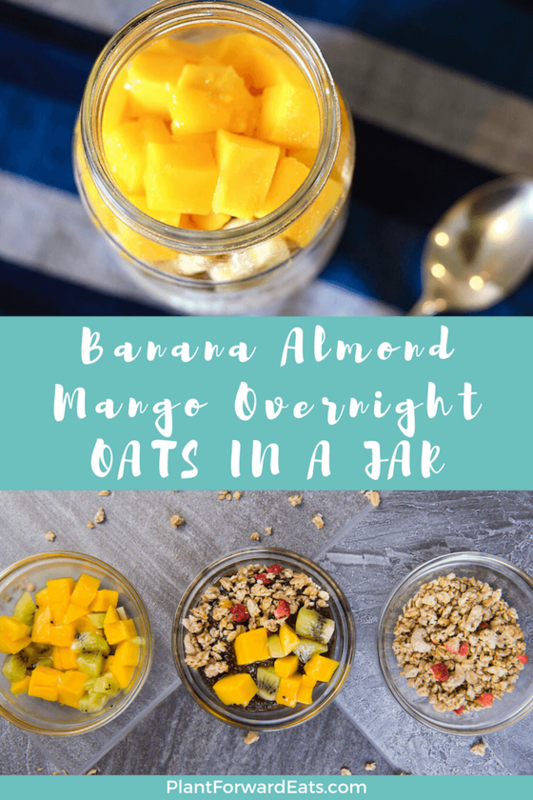 This overnight oats recipe is made with oats, plain Greek yogurt, unsweetened almond milk, mango, banana, and almonds. I chose these ingredients for their protein, fiber and nutrient contributions—in addition to their taste! Disclosure: This post is sponsored by The Quaker Oats Company. All opinions are my own. Overnight oatmeal is one of my favorite breakfast go-tos. It only takes a few minutes to put together, then you pop it in the fridge overnight—and ta-dah!, you have a delicious oatmeal, ready to go in the morning. Whenever I can, I enjoy breakfast at home while hanging out with our two kitties. But when a time crunch requires taking breakfast on the road, overnight oats are incredibly portable. 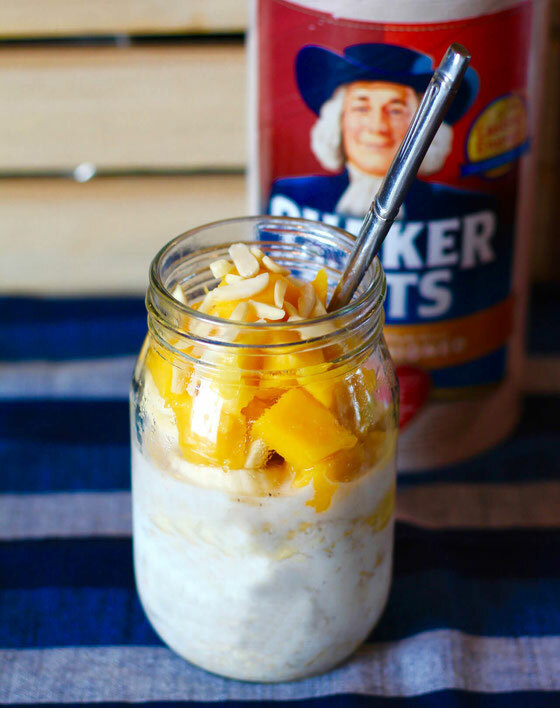 Because I love overnight oats so much, I partnered with The Quaker Oats Company to sponsor this post. I created this oh-so-tasty (and nutritious!) 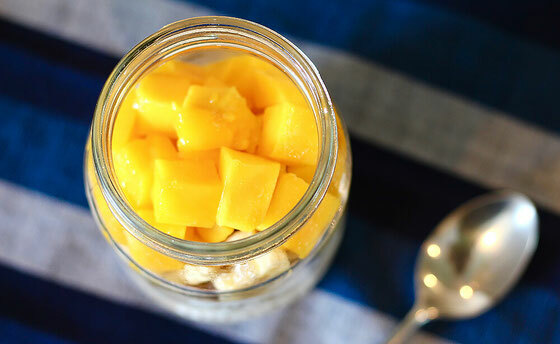 Mango Banana Almond Overnight Oats for your enjoyment (and mine). By combining oats with unsweetened almond milk and plain Greek yogurt, this breakfast is sure to fill you up. Then comes the toppings: mango, banana, and almonds—for more flavor and nutrients! Try my recipe, or make your own overnight oats by combining oats with milk, yogurt, or any dairy alternative. Then mix in some nutritious add-ins like fruit and nuts, and let the oats soak overnight in the fridge. Looking for other delicious overnight grains recipes? Give an overnight barley breakfast bowl a try! In a mason jar, mix oats, milk, yogurt, and spices with a spoon. Top with banana, then drizzle with honey. Add mango and almonds. Cover jar with a lid, then refrigerate and let soak for a few hours or overnight. Enjoy! Serves 1. What are your thoughts on this topic? What’s your favorite way to make overnight oats?